Sub Name: American Ash is usually described as American White Ash which is the true Fraxinus Americana. 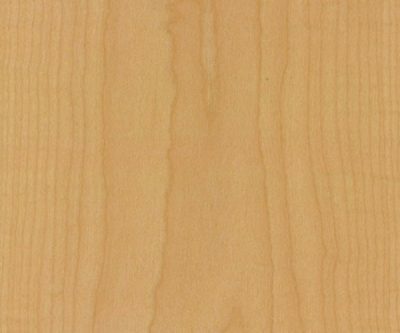 This is sometimes differentiated as Tough Ash or Soft Ash, the latter being most often selected for joinery and veneer. 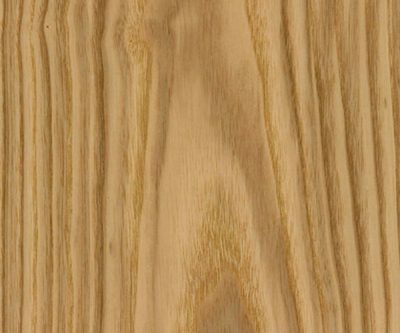 Trade Name: The name Olive Ash is given to wood that has been infected by a non-damaging bacteria which causes irregular dark streaks in the heartwood and which looks similar to Olive wood. The name Burr Ash or Ash Burl is applied to wood that has grain running in all directions which gives rise in the cut wood to the appearance of dense whorls, curls, twists and birds eye features. Burr-wood comes from naturally occurring growths. Other figured material may carry a descriptive name, e.g. Fiddleback. Origin: European Ash is indigenous throughout Europe. American Ash species occur in New England and the middle Atlantic and central States. Appearance: Ash has prominent growth rings which result in a strong figure.The appearance of European Ash is very similar to that of American White Ash. Most usually the appearance of veneer is a straw/white while the solid exhibits some brown. 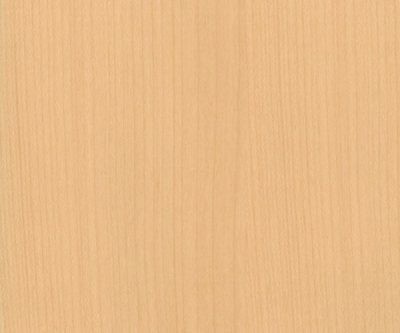 It is hardly possible commercially to produce joinery that is colour matched to the White Ash veneer.The veneer form of Olive Ash can produce a better match with the solid but is often dramatic in appearance and should be carefully selected. White Ash will yellow slightly with age and exposure to light. Mechanical: Ash is renowned for its elasticity and strength and is widely used for tool handles and sports equipment. The milder, selected Soft Ash is very suitable as joinery material. Density averages 690 kg/m³ but ranges by 25% either side. Availability: Solid Ash used for joinery is most often American White Ash. This is widely available as square edged boards 25–100mm thick, up to 300mm wide and 3m in length. Veneer is also widely available, usually crown or quarter cut. 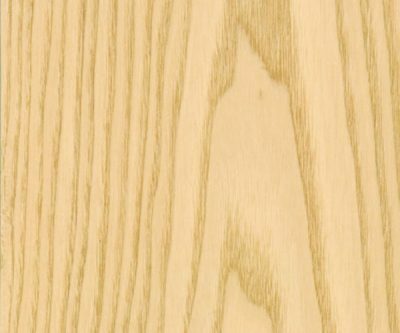 Timber Cuts: American White Ash is good value for money for decorative internal joinery as it is predictable in conversion from square edged boards. It is durable in interior conditions but is perishable in exterior use. White Ash in the solid rarely makes a close match to the veneer form as it often displays brown heartwood. The wood has moderately good dimensional stability. The quarter sawn (stripey) face of a solid component looks quite different to the crown (flowery) face. It is not commercially possible to control the visual effect of this in work comprising numerous adjacent components. Veneer Cuts: White Ash veneer is usually produced from selected logs in which brown heartwood is either not present or is limited. This gives rise to appearance which is whiter than the solid. Olive Ash veneer displays dark brown heartwood which can give rise to a very dramatic appearance. 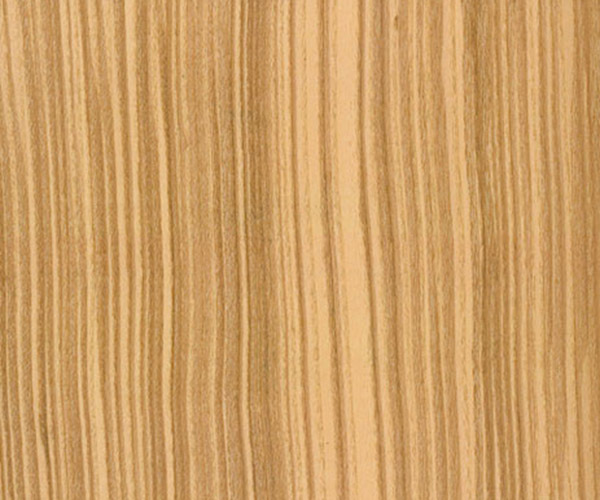 Veneer is widely available crown cut and quarter cut, the crown cut being of paler colouration. Veneer logs are moderate in girth: hence some planning is required to get a uniform appearance within areas of a large job. Properties: Ash is generally quite kind and machines well to a smooth finish. Both the solid and veneer form take polish well. Stain will penetrate more densely into the growth rings, giving rise to a greater emphasis of the figure. Seasoning: Ash seasons fairly quickly. It is best kiln dried at low temperatures to avoid distortion.